Practice Inside and outside positions with this worksheet. 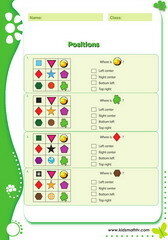 Practice Left right middle positions with this worksheet. 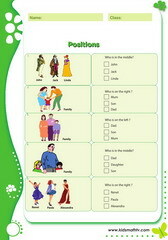 Practice Left right positions with this worksheet. Practice Locate in a 3 by 3 grid sheet 2 with this worksheet. Practice Locate in a 3 by 3 grid with this worksheet. Practice Positions inside outside with this worksheet. 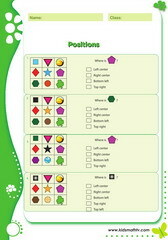 Practice Positions left middle right with this worksheet. 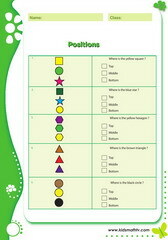 Practice Top bottom middle positions with this worksheet.